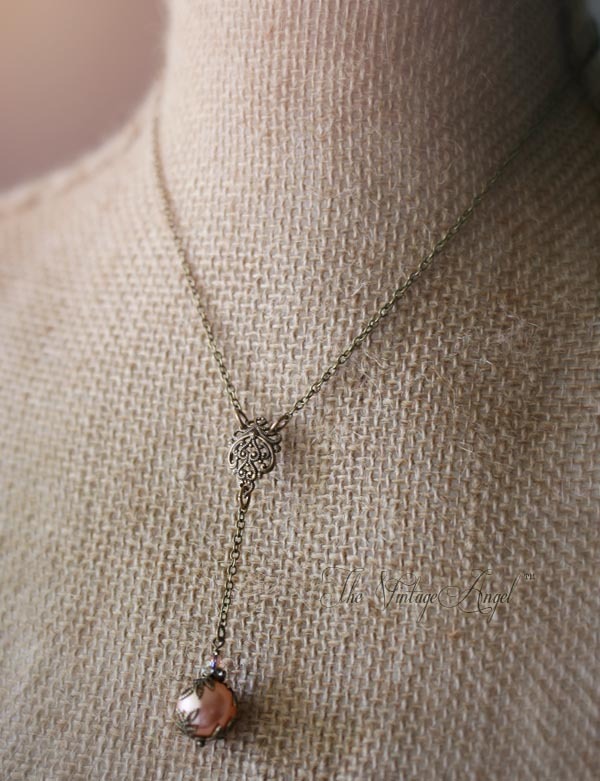 Victorian inspired, dainty and unique, this y-shaped necklace is so sweet. 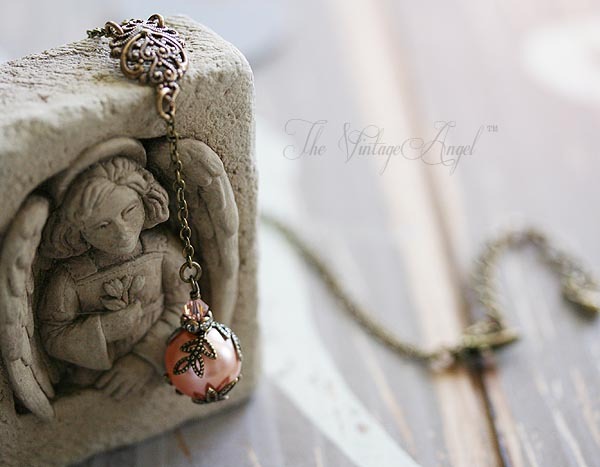 A 12mm summery peach Swarovski pearl is accented with filigree leaf bead caps, a rhinestone rondelle and a tiny peach ab Swarovski crystal and suspended from a German filigree connector and dainty antique brass chain. 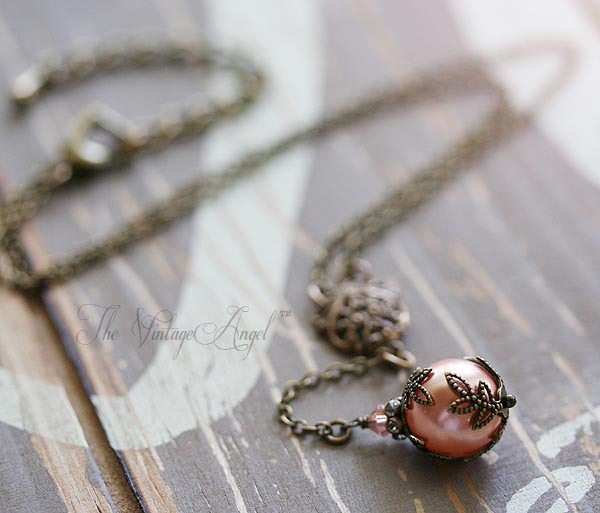 Closes with a sweet heart shaped clasp. Metal is antique brass, free of lead and nickel.